Thank you for clicking on Spot On PR on Linkedin! 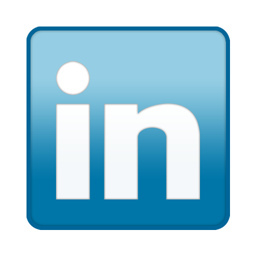 We’ve been using Linkedin to promote Spot On, increase our business contacts, find new clients and hire new people since 2004. So, if you want some advice on how to use Linkedin, you’ve come to the right place! If you don’t already know us, you may be wondering who we are, what we do and whether we can do business together. So, here’s a brief introductory Q&A with some more information. If you’d prefer to contact us right now, you are welcome to email us on carringtonm(at)spotonpr(dot)com. If we’re online, you’re also welcome to chat to us (you should see the chat window on the bottom right of your screen). What is Spot On PR? Spot On PR is a Dubai-based communications, digital marketing agency which focuses on the Middle East and North Africa. Beginning life as one of the first PR firms to be established in the region, Spot On has been helping global brands with regional communications campaigns for more than 20 years. Simply put, we build brands online. Spot On helps companies position themselves effectively in their chosen markets, connect with customers, manage their reputations and drive communications across the Middle East and North Africa region. We’ve been here a long time and have had the opportunity to launch dozens of global and Arab brands in the Middle East. Our clients have includes many Fortune 500 companies, startups and dynamic organisations from around the region. We’ve been working with Internet technologies since the mid-nineties, which is why we now feel at home living online and developing great digital campaigns for our clients, leveraging our knowledge of the region and a broad spectrum of marketing practices.